How many blues artists remain at the absolute top of their game after more than a half century of performing? One immediately leaps to mind: Charles Brown. His incredible piano skills and laid-back vocal delivery remained every bit as mesmerizing at the end of his life as they were way back in 1945, when his groundbreaking waxing of "Drifting Blues" with guitarist Johnny Moore's Three Blazers invented an entirely new blues genre for sophisticated postwar revelers -- an ultra-mellow, jazz-inflected sound perfect for sipping a late-night libation in some hip after-hours joint. Brown's smooth trio format was tremendously influential to a host of high-profile disciples -- Ray Charles, Amos Milburn, and Floyd Dixon, for starters. Classically trained on the ivories, Brown earned a degree in chemistry before moving to Los Angeles in 1943. He soon hooked up with the Blazers (Moore and bassist Eddie Williams), who modeled themselves after Nat "King" Cole's trio but retained a bluesier tone within their ballad-heavy repertoire. With Brown installed as their vocalist and pianist, the Blazers' "Drifting Blues" for Philo Records remained on Billboard's R&B charts for 23 weeks, peaking at number two. Follow-ups for Exclusive and Modern (including "Sunny Road," "So Long," "New Orleans Blues," and their immortal 1947 Yuletide classic "Merry Christmas Baby") kept the Blazers around the top of the R&B listings from 1946 through 1948, until Brown opted to go solo. If anything, Brown was even more successful on his own. Signing with Eddie Mesner's Aladdin logo, he visited the R&B Top Ten no less than ten times from 1949 to 1952, retaining his mournful, sparsely arranged sound for the smashes "Get Yourself Another Fool," the chart-topping Trouble Blues" and Black Night," and "Hard Times." Despite a 1956 jaunt to New Orleans to record with the Cosimo's studio band, Brown's mellow approach failed to make the transition to rock's brasher rhythms, and he soon faded from national prominence (other than when his second holiday perennial, "Please Come Home for Christmas," hit in 1960 on the King label). Occasionally recording without causing much of a stir during the '60s and '70s, Brown began to regroup by the mid-'80s. One More for the Road, a set cut in 1986 for the short-lived Blue Side logo, announced to anyone within earshot that Brown's talents hadn't diminished at all while he was gone (the set later reemerged on Alligator). Bonnie Raitt took an encouraging interest in Brown's comeback bid, bringing him on tour with her as her opening act (thus introducing the blues vet to a whole new generation or two of fans). His recording career took off too, with a series of albums for Bullseye Blues (the first entry, 1990's All My Life, is especially pleasing), and more recently, a disc for Verve. 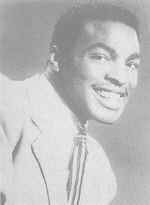 A masterful songwriter whose touching blues ballad "Please Send Me Someone to Love," a multi-layered universal lament, was a number one R&B hit in 1950, Percy Mayfield had the world by the tail until a horrific 1952 auto wreck left him facially disfigured. That didn't stop the poet laureate of the blues from writing in prolific fashion, though. As Ray Charles's favorite scribe during the '60s, he handed the Genius such gems as "Hit the Road Jack" and "At the Club." Like so many of his postwar L.A. contemporaries, Mayfield got his musical start in Texas but moved to the coast during the war. Surmising that Jimmy Witherspoon might like to perform a tune he'd penned called "Two Years of Torture," Mayfield targeted Supreme Records as a possible buyer for his song. But the bosses at Supreme liked his own gentle reading so much that they insisted he wax it himself in 1947 with an all-star band that included saxist Maxwell Davis, guitarist Chuck Norris, and pianist Willard McDaniel. Art Rupe's Specialty logo signed Mayfield in 1950 and scored a solid string of R&B smashes over the next couple of years. "Please Send Me Someone to Love" and its equally potent flip "Strange Things Happening" were followed in the charts by "Lost Love," "What a Fool I Was," "Prayin' for Your Return," "Cry Baby," and "Big Question," cementing Mayfield's reputation as a blues balladeer of the highest order. Davis handled sax duties on most of Mayfield's Specialty sides as well. Mayfield's lyrics were usually as insightfully downbeat as his tempos; he was a true master at expressing his innermost feelings, laced with vulnerability and pathos (his "Life Is Suicide" and "The River's Invitation" are two prime examples). Even though his touring was drastically curtailed after the accident, Mayfield hung in there as a Specialty artist through 1954, switching to Chess in 1955-56 and Imperial in 1959. Charles proved thankful enough for Mayfield's songwriting genius to sign him to his Tangerine logo in 1962; over the next five years, the singer waxed a series of inexorably classy outings, many with Brother Ray's band (notably "My Jug and I" in 1964 and "Give Me Time to Explain" the next year).